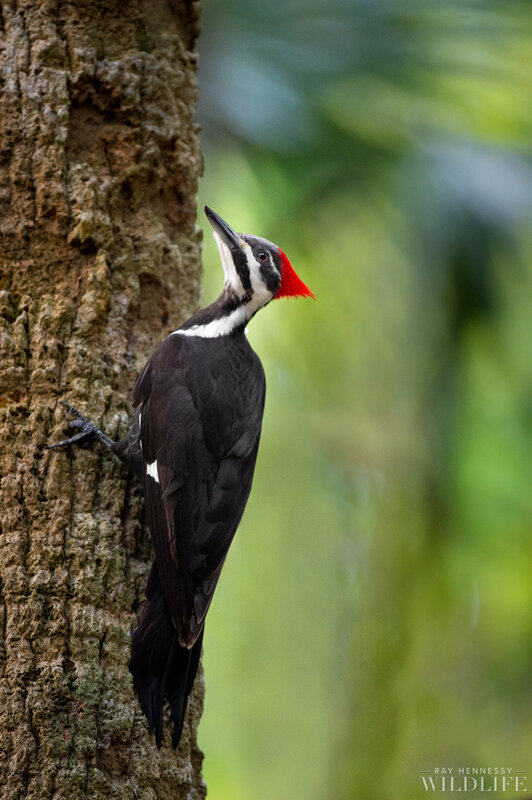 While searching for some Barred Owls with my sister (which we eventually did find) this lovely Pileated Woodpecker flew into the area and landed right near us. I never seem to get great photos of this species while in Florida so it was a joy to have it so close this time around. I actually had to rotate vertically to fit the whole bird in the frame. They are surprisingly large woodpeckers when you see them close and I would certainly never want to be on the receiving end of that beak. In any case this is my favorite portrait of one to date and I was really glad to have the palm tree background turn out on this one, even though it was really dark under the forest canopy.